November 29, 2018 5:06 pm. IT is Group 1 Winterbottom Stakes (1200m) Day at Ascot this Saturday and a huge nine race card of action awaits punters. Our tipsters were on fire last week, nailing six of the nine races on the card and they’re confident of going even better this weekend. Tango Ora is shooting for three in a row and comes into this event looking like a strong hope despite the step up in class. The horse is unbeaten across two runs this preparation at Mount Barker and Albany, so Ascot is the next step, but with a rock bottom weight we’re confident the four-year-old can salute at odds. Unbeaten filly Specialism looks extremely hard to beat in this one. The set weights conditions suit perfectly and we’re expecting the two-year-old filly to spear out and attempt to win this one from start-to-finish once again. Arcadia Prince looks to be the one here. The Peters/Pike connection resumes as the four-year-old gelding hopes to continue the hot form which has seen him win twice and run second across three starts this preparation. Only concern is the weight but we believe Arcadia Prince is good enough to overcome. Deception Game has put together an impressive resume so far in his career, winning three times and placing a further three times over nine starts. Unlucky across his last two starts to finish second, we’re backing the gelding to bounce back to winning ways from a good gate. King Louie is building this preparation and under prodigal son Damien Oliver we think it can find his way into the winner’s stall for just the second time in his 21 race career. The last two runs have yielded an encouraging third placing before delivering a runner-up run in his last start. Looks due for a peaking performance. In a wide-open affair Father Knick looks a great sight. The horse has placed on both ocassions this campaign and has a strong third-up record of two wins from three starts. Drawn the rails and will relish that across the sprint trip. This looks like Viddora’s race to lose. The People’s Horse hasn’t raced since a disappointing run in The Everest but she had plenty of excuses on that sodden track. 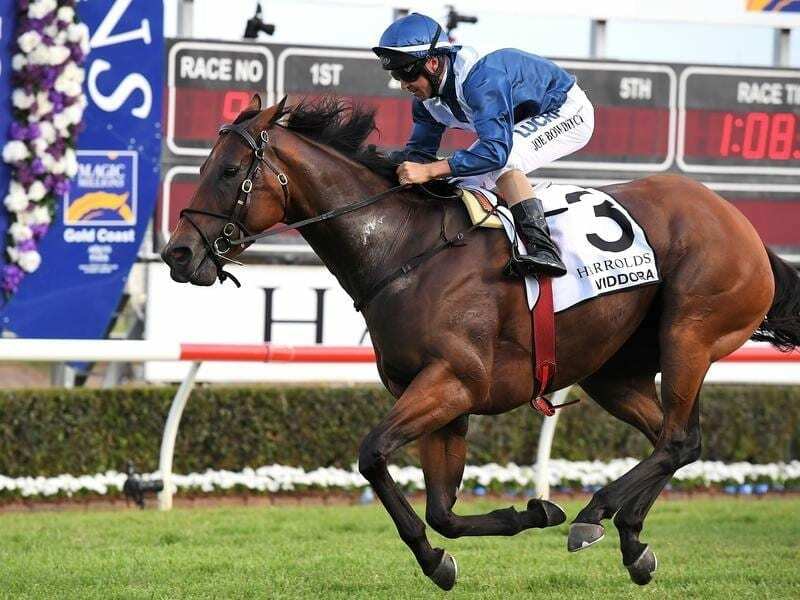 Prior to that Viddora smashed them in the Moir Stakes and we think she successfully defends the Winterbottom crown, with Enticing Star the hardest to beat. Illustrious Tycoon looks extremely hard to beat, despite the wide draw. Resuming after a break looking to keep the unbeaten run intact, the four-year-old smashed them in a recent tune up trial and we’re confident he remains undefeated come Saturday night. Magical Charm has put together back-to-back wins and the Peters/Pike connection looks good once again in the final event on the card. In a huge field the barrier three draw helps as does the strong form at the track. Magical Charm should end our Saturday in style at Ascot.